On 8th January 2017, CBSE announced CBSE UGC NET Notification July 2018 exam. This short notification has put a stop to rumor mills that have been spreading a lot of false news around the internet. The core papers – that are Paper 2 and Paper 3 – are combined into one, which is now called only Paper 2. Reduced the total time from 5 hours to 3 hours only. Also, reduced the total number of questions from 175 to 150 questions. Interestingly, the upper age limit for JRF (Junior Research Fellowship) has been increased from 28 years to 30 years. 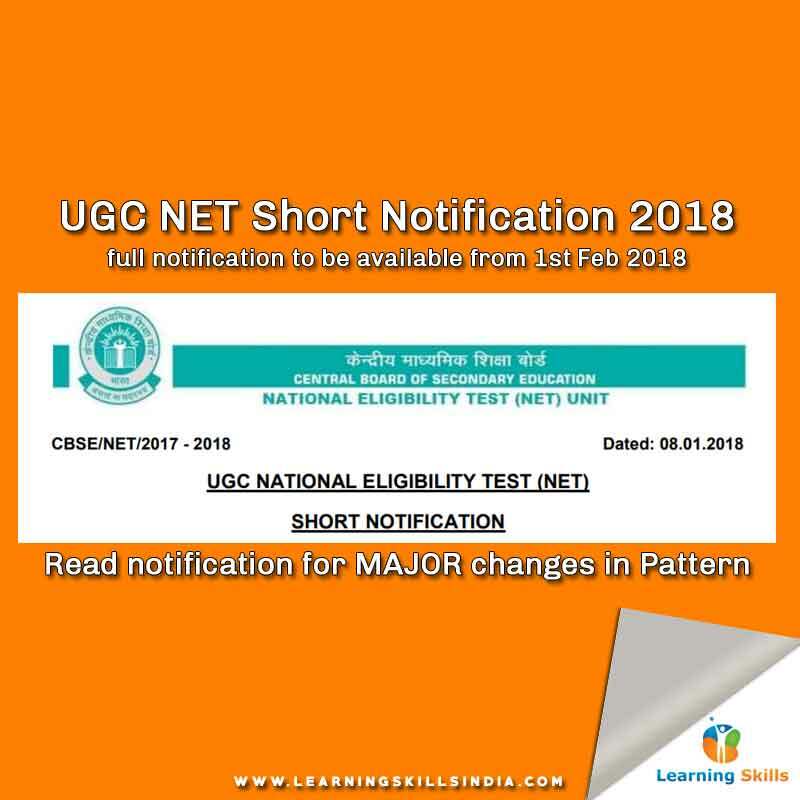 We bring you detailed information from the CBSE UGC NET Notification and major changes that will be introduced. Also, we’ve our take and analysis on this. Get the advantage of Learning Skills Institute, buy online UGC NET General Paper 1 notes updated as per the latest syllabus. There are significant pattern changes in CBSE UGC NET exam of 2018. The total no. of questions, total time, and total marks have been reduced. Also, Paper 2 and Paper 3 are combined into one, which now only paper 2.